The hashtag is one of the great phenomena of our decade. This message basically asked, can we use the hashtag to create group discussions? Little did Chris envision that ten years later, the hashtag would be the best way to not only create group discussions, but to follow news and create an online community. The question is, however, how do you use the hashtag for business purposes? We’re going to take a short and simple look at how you can use hashtag to generate more customers. 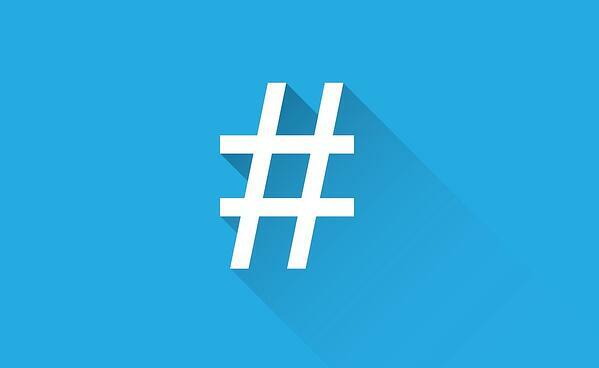 A hashtag is a word or phrase that’s preceded by a hash sign (#), used on social media - especially Twitter and Instagram - to identify messages on a specific topic. If you’re interested in a certain topic, such as MIPIM 2018, you would search #MIPIM2018 in your social media search bar and find every post that mentions 2018’s MIPIM event. Simple! So, you’re trying to get your business or brand seen on a much wider scale? Depending on what your company does, you need to discover the most widely-used hashtags within your target-audience base. These are just some options that will put you on the radar of people searching these terms. Depending on your industry, you can tailor these terms to create a more targeted post. Posts using at least one hashtag get roughly 12.6% more engagement than those who do not use hashtags at all, so coupling a hashtag with a strong call to action (CTA) should help generate more enquiries about your business. Twitter and Instagram are the key social media platforms that support hashtags – they’re actively searched for and promoted on these platforms. On Facebook and LinkedIn you can find public posts by searching for specific hashtags, however these social media platforms never really got onto the hashtag bandwagon, so they will likely do very little for your engagement. Did you realise just how powerful the hashtag is? It’s one of the best ways to search for keywords on social media, find and join discussions and get yourself found on a wide scale. To find out a little bit more about the hashtag, read our blog about the hashtag’s ten-year anniversary to see some of its most popular uses. If you need help with your business hashtag campaigns or would like to discuss other PR and digital activities, get in touch with us at Roland Dransfield and we’ll be able to help you out.